Since you are better safe than sorry, here are some tips that can help you avoid becoming a victim of fraud when booking your holiday accommodation." The safest way to book a villa is through a local company, as it has to take responsibility for the booking and guarantee that you won't lose money. We have seen and inspected each and every villa listed on our site, so you can be sure not only that it exists, but that it is a distinctive and beautiful home in a desirable neighbourhood. 1. Check the pictures match the reality. Type in the property address into Google Maps to ascertain it exists. You can even use street view in some locations to check the images are real. 2. Pay by credit card using 3D Secure system. Never pay by bank transfer, banks are under no obligation to cover your losses in case of fraud. A credit card will offer fraud protection. 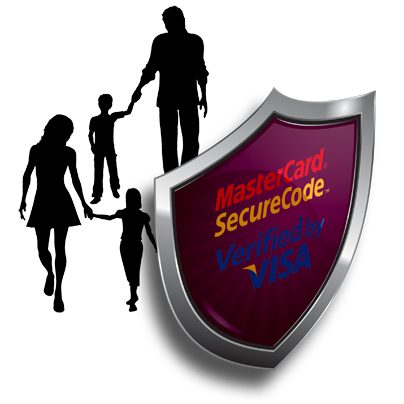 'MasterCard SecureCode' and 'Verified by Visa' are card-specific instances of a system called '3D Secure'. The system prevents the fraudulent misuse of credit cards in online payment transactions through the requirement of a password. No organisation, other than the authorising bank, will be privy to the information you provide. 3. Don’t book on websites that don’t have a padlock icon in the address bar. All reputable websites should contain evidence of a certificate from a recognised body demonstrating that they are safe and secure for users, if the address begins https:// and a closed padlock symbol appears in or next to the address bar, you can be sure that you are in a secure, encrypted session. If something sounds too good to be true, it probably is. Don’t get too excited before checking the prices of the other properties nearby, your rental should not be too far below the prices of similar rentals in the area. 5. Read the small print. Some holiday rental sites have protection schemes which will reimburse customers in case of fraud, however, many don't. Be aware before you book. If you have fallen victim to Internet fraud or have been preyed upon by an Internet scammer you can file a complaint at the National Fraud Intelligence Bureau.